Nooo way! New Pinterest changes or algorithm update just happened and you landed on this page looking for some info about what happened with Pinterest yet another time? Anyway, this page will be updated on a regular basis (I expect to work on it at least once in two weeks as I keep seeing new features and interface changes being rolled out all the time on Pinterest). Algorithm changes on Pinterest started happening so often that people who use Pinterest for business, to drive traffic to their websites or blogs, feel overwhelmed by the amount of news, speculations, and recommendations. 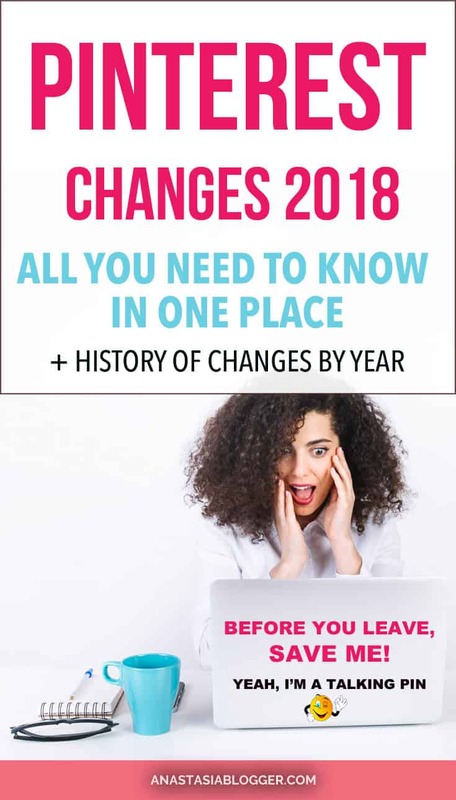 This page is aimed at making all the Pinterest changes organized in chronological order to help you understand what happened recently, what happened a month ago, how Pinterest looked six months ago, and in which direction this train is heading. Pinterest representatives never talked to bloggers as much as they do in 2018. They even organized a specialized conference for content creators – the first time in Pinterest’s history. Most of content creators and bloggers don’t have the time to follow all the changes and to understand how the algorithm works. This is why a lot of information presented by Pinterest speakers in May-June 2018 seemed to them like a complete novelty. For example, Pinterest spoke about engagement being a big factor helping a pin’s virality on the platform. I noticed that some bloggers understood that engagement is something newly integrated into the algorithm in 2018. But it’s not! Engagement, including close-ups, click-throughs, comments and photos (“tried it” feature) has been important on Pinterest for at least few years that I am actively working on this platform. My goal is to separate (whenever it’s possible) the things that Pinterest speakers said from what actually works on the platform at the moment. And also to put aside the speculations and myths coming from someone’s interpretations of what Pinterest ever said or published. Please note that what works is based on my experience managing Pinterest accounts for my own blogs and helping dozens of other bloggers manage theirs. Plus, I monitor, analyze and summarize all the information shared by hundreds of other bloggers in various Facebook communities on a daily basis. I know that you don’t have the time to read through all these numerous Facebook threads where bloggers talk about Pinterest. I wouldn’t have that time too, but you see, I have to find the time! You will find the most recent updates at the top of the page – this way you can grab the important information first. 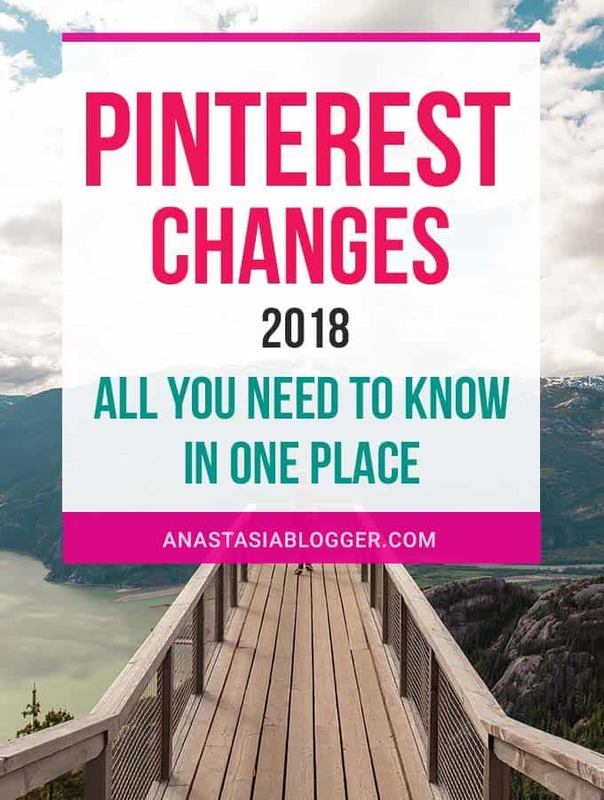 However, if you want to understand things deeper, or you came here with very little knowledge of what Pinterest is and how it works for business accounts, I recommend you to start from the bottom of the page so that you could see better the general direction of Pinterest’s changes. This one is probably the biggest news for content creators because for the last 3 years, all the free and paid Pinterest tips would recommend you first and foremost applying to group boards for higher distribution of your pins. According to Pinterest speakers, group boards went into a wrong direction from what they were meant to be – small groups for collaborations on some projects. It is true that many group boards have grown into monstrous communities with thousands of contributors and no pinning limits and no specific niche. Having over 4000 contributors and no pinning limits means that the board is not moderated, full of spammy pins. Not good for Pinterest’s ecosystem at all. This leads to low engagement scores and zero relevance of these boards to anything at all. Pinterest probably has a hard time assigning any keywords to such boards because pins can cover any topic that comes to your mind and some that you couldn’t even imagine. Pinterest wants us to use group boards for collaborations on “projects” – whatever they mean by a project, for me it’s a clear sign that big group boards that are not targeting any specific topic or keyword, are not the best way to spend your time on Pinterest. Analyze your group boards and find the underperforming boards – often they are very generic boards with thousands of contributors. Once identified the “bad” boards, you can archive them or leave them for good. Learn how I do it from this post. Try to find 2-3 bloggers who target the same audience and try to collaborate with them by giving access to each other’s followers in small group boards targeting specific keywords. Test how this works. Based on what Pinterest said, this should work better than big group boards with thousands of contributors. So, if group boards get lower priority on Pinterest, does this mean, you should focus more on your own boards? You’ve got it! If you give a thorough look at some bloggers’ Pinterest accounts, you’ll be surprised to see just a few of their own boards and dozens of group boards they are part of. That’s because it was their (and my) strategy for several years – getting access to new and bigger audiences through group boards. This has to change. Pinterest recommends us creating at least 5 boards for each topic we cover in the blog or website, to target several keyword variations on each board. If you had a Paleo board, you might want to add Paleo dinners, Paleo desserts, Paleo breakfast, etc. boards to target a different keyword on each board. This one comes as a consequence of the previous two statements Pinterest made. When you have a new pin, to get the best results from it, you have to first pin it to your own and most relevant board. Then you can repin it to other boards covering the same niche or topic – ideally, you should have at least 5 your own boards for each topic. When you are done repining to your own boards, you can start saving the pin to some relevant group boards and you definitely should not save your new pin to a generic group board, even if it has 200,000 followers. It will not help you because the pin will not get engagement and proper context on that generic board. One of the strategies that used to work pretty well on Pinterest until 2017 was creating super-long pins (usually with infographics) to occupy more space in the user’s feed. This will not work any longer. Pinterest is already cutting off those long pins anyway, but in the near future they also promised to penalize pins longer than the ideal 2:3 ratio, so they don’t get many views. Pinterest emphasized in various events that they want us, content creators, to actually be creative and upload to the platform as many new pins (“fresh” content) as possible. They know that many bloggers used to take one popular pin and then repin it unlimited times to group boards. That’s apparently not what they want today. 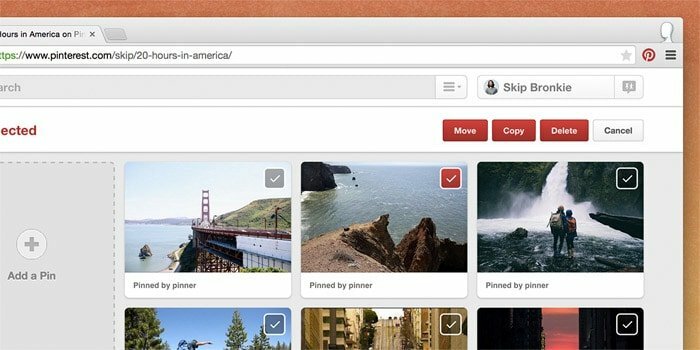 New pins can be saved from the website or uploaded to Pinterest, that doesn’t matter. What matters they have to be new pins that Pinterest doesn’t recognize as the same image you already published for the post earlier. They are also ok with new pins for old posts, but ideally, you should publish as many new posts as possible. 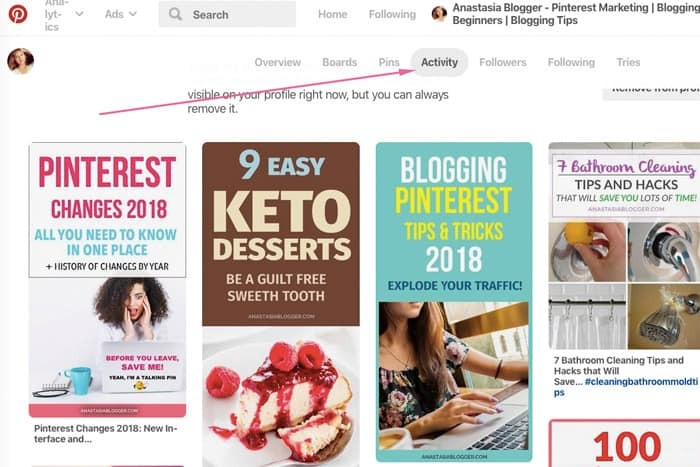 This is not actually something new in the algorithm, I’ve been doing it for a long time, but it wasn’t clear for many bloggers, so Pinterest just confirmed it in 2018. They said that you can and you should create multiple pins for each post, just make sure to use different keywords in the descriptions for each pin to target different interests of your audience. Pinterest started showing analytics almost in real time. They still have a 2-hour delay but it’s way better than a 36-hour delay. To see the stats for your pins, you need to open them. Stats are shown only for the last 30 days, so if you have a pin that’s received 100,000 impressions a year ago, in the last 30 days stats, you might see very few impressions as the pin has not been trending in the last month. 8. Grow your followers but only within your niche! Pinterest emphasized the influence your followers have on engagement for your new pins. Followers will see your new pins in the following tab and give the platform signals about your pin by engaging or ignoring your pin. If there is no early engagement, your pin will have a hard time getting views on Pinterest. It will be pretty much buried under all the new content that comes up every day. This is why it becomes more important to get followers within a specific niche so that they find your content always relevant to their interests and thus give your new pins better engagement scores. Users don’t need to click on the Save button and pick a board anymore – Pinterest auto-suggests a relevant board allows you to save the pin without closing it up. It works for all pins but only on the web version of Pinterest (not in your smartphone app). Among other new tabs in your profile, you will find the Activity tab shows all the pins which were saved from your site by any other Pinterest users. It’s a handy tool for bloggers like us because you can see which images people like to save from your site and make sure you create new pins with this knowledge as a background. However, I can imagine that some bloggers would prefer to have this information more private like it was before. If you remove the Activity tab, it will be still seen on your profile, but will not to the rest of the world. Most of the accounts by now should be also seeing the “Following” feed. Just click on the little people icon (see screenshot below) – and you will see only the pins saved by people you are following, pins in the Following tab are shown in chronological order. BoardBooster was one of the most popular Pinterest schedulers and offered a wide variety of automation tools at an affordable price. BoardBooster operated as a strong player in Pinterest – bloggers ecosystem for 4 years but was never an official partner and didn’t use Pinterest’s API. The tool wasn’t given a chance to make things right when in June 2018 the news came out that Pinterest is planning to suspend or terminate accounts for using unauthorized schedulers, BoardBooster in particular. 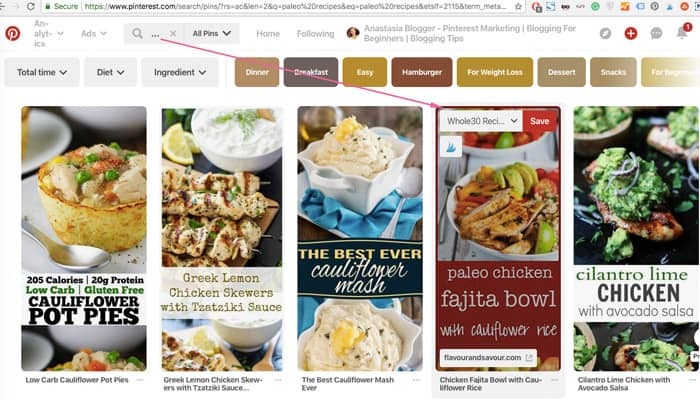 If you never used BoardBooster, what matters for your future work on Pinterest as a content creator or a marketer is that you should never use a tool that is not on Pinterest’s partners page. Currently, I use Tailwind for scheduling on Pinterest (you can get the first month for free if you start your trial with my link). Tailwind has a little bit of a learning curve, like any tool. If you want to start using it efficiently and save yourself the time from learning it by trial and error, you could make a jump start with my very affordable video course dedicated to Tailwind. Pinterest changed a lot in 2017. Here is an overview of the new features, interface changes and algorithm updates that happened in 2017. If you started using Pinterest later that this year, you’ll be surprised to see how many things were different. This doesn’t mean that descriptions are not important for Pinterest SEO – you still have to use those 500 characters to the max capacity and include all the important keywords. They are just not being shown to the followers – obviously, because the majority of Pinterest users are on mobile devices and there simply is not enough space to show the descriptions. Fact: Pinterest removed repin counts from the user’s eyes. Pin creator can see repins for his own pins with a certain delay (used to be 36 hours in 2017). My guess why: probably to reduce the manipulations around this metric. When it was shown publicly, many users would just save the pins with higher repin counts hoping this helps them build their own boards with stronger and more popular pins. Pinterest decided to hide this data from the feed to help new pins get more chances to be saved without the previous repin history prejudice. This also makes more sense in the 2018 trend of bringing more “fresh pins” as opposed to repins of the same exact image. In early 2017, Pinterest was still showing the “summed” repin counts for all pin instances (not the individual or direct repins per pin instance). By the end of 2017, even that number was gone. In the history of Pinterest, there was a time when hashtags were not welcome and Pinterest even penalized pinners for using them. But in 2017, hashtags were invited back to the platform, users were warned that 20 hashtags on Pinterest per pin is the reasonable recommended maximum. Hashtag search results are not based on relevance or user’s interests – they are shown based on their freshness, just like all the pins where in the early years of Pinterest. 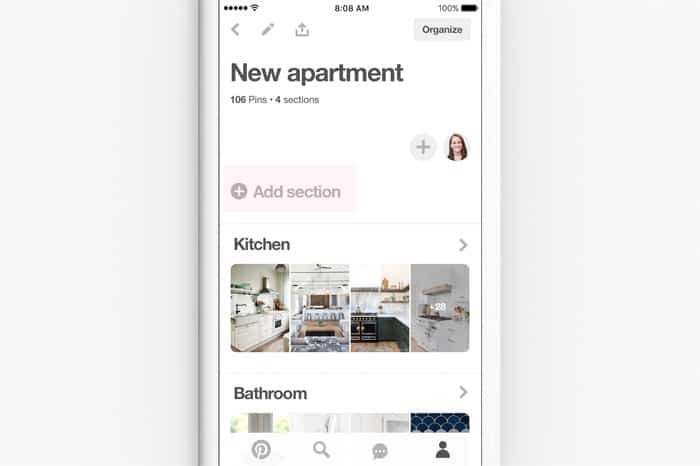 As a new way to organize boards, Pinterest introduced board sections. 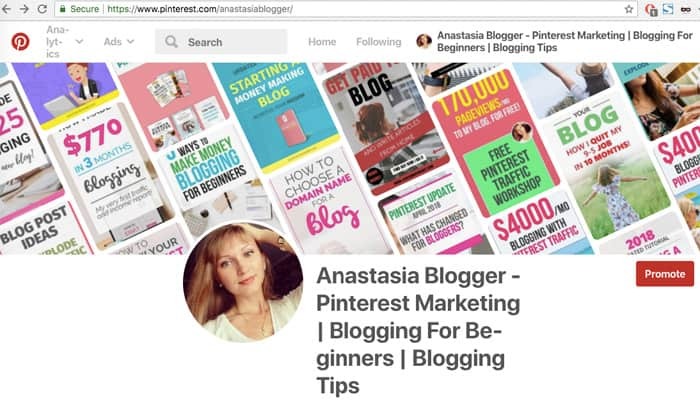 They also clarified that sections do not affect your Pinterest SEO, they just help pinners with more generic boards organize pins within different topics. Sections can be used, for example, to save various ideas related to a holiday. Instead of saving Christmas recipes, gifts and decorations in one big messy board, you can now organize all the pins on that board by sections. Lens technology allows you to use the camera in your Pinterest app to discover ideas inspired by objects you see out in the real world. Lens works best for finding home decor ideas, things to wear and food to eat. In June 2016 Pinterest replaced the “Pin it” button by the “Save” button because the term “pin it” didn’t resonate equally with users in different parts of the world. Pinterest started counting repins and likes on a piece of content throughout all of Pinterest, instead of just showing the counts for a specific Pin. The maximum aspect ratio for Pins was reduced from 1:3.5 to 1:2.8. Anything taller than that promised to be cut off. To reduce the clutter in the feed, Pinterest removed rich pin descriptions and left them to be only shown on close-ups. Pinterest Search started showing results customized by language and country. For example, Germany searches for cake-baking ideas will show results from German websites and pins with descriptions in German. Pinterest is showing all the closest matching options the second a user started typing. 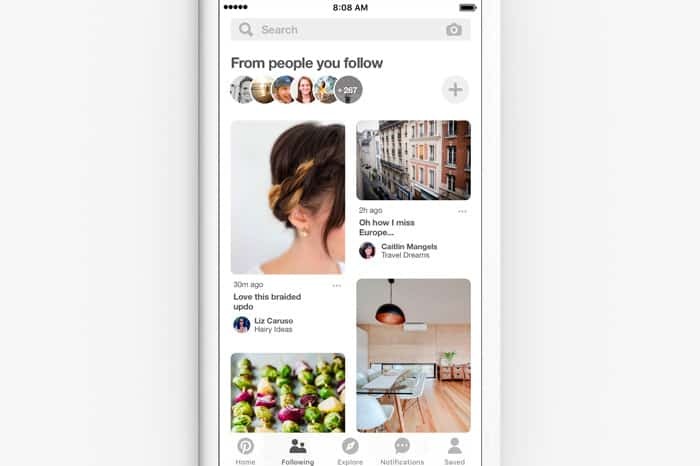 Pinterest introduced a feature for managing boards that finally allowed pinners to move a group of pins to other boards or delete pins in groups (as opposed to doing it pin by pin). 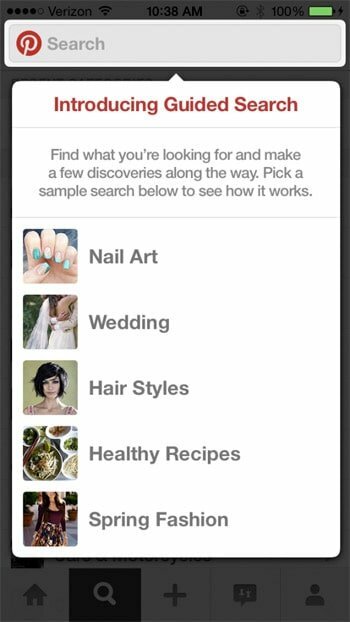 Pinterest’s Guided Search helps with the questions that have more than one right answer. The nature of search is seen differently than the traditional search for something specific: Pinterest believes people want to search and explore things. Secret boards were created for pinners to save ideas for something personal, which they are not ready to share with the world. 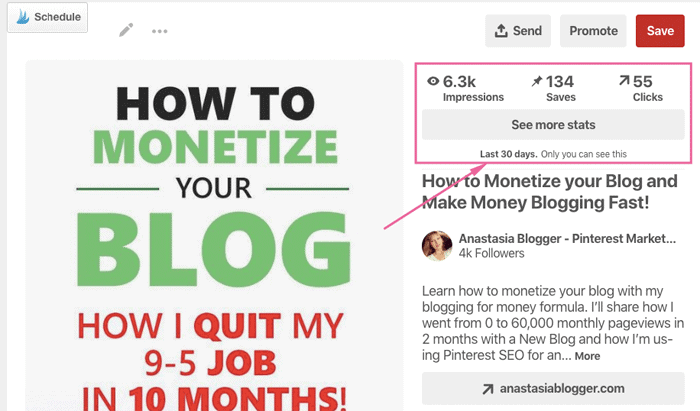 If you found this post useful, you might want to save THIS PIN below to your Pinterest Marketing Tips board to check the post later when new updates are announced. Hi, Shaniamatanji! I’m not sure you are able to connect a site that is not self-hosted. Are you getting an error when you try to verify the site? Hi! I have been reading your algorithm information. I have been on Pinterest for years. I just pin what I love and steadily grew followers to about 1785. I would get 50-200 new followers monthly. In feb 18 it dropped to virtually none to losing followers. This still happens monthly even though I changed nothing. I am completely perplexed. Do you have any ideas what happened? Hi There. All my boards have been secret for a long time now. I made a few of them public again and added new pins. This is in the last 3 days. Why do some of my pins show impressions and closeups and clicks happening in the last 30 days when I have only had them up for 3 days? I am talking about the brand new pins. Thanks! Hi, Vivian! Which stats are you looking at? When you close up a pin, it shows you summed up stats for all pin versions of this pin of your for the last 30 days, the last 3 days are obviously included in the last 30. So that’s what you are probably seeing – the number of views for the last 3 days. You could choose the data for 24 hours only and check if the number is different from the data it shows for the last 30 days.